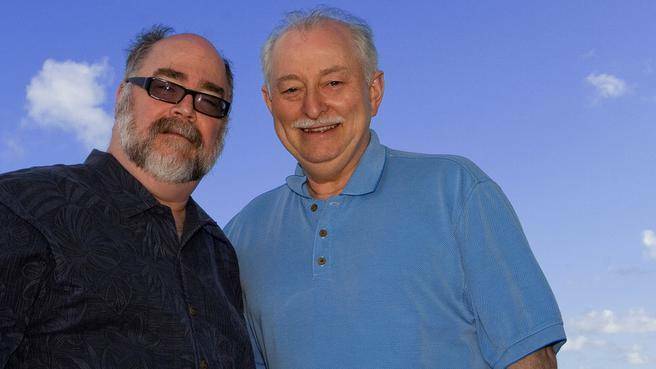 Kevin Evans & Brian Doherty have been an integral part of the East Coast music scene for thirty four years and have been together as Evans & Doherty for thirty years. To capture the essence of an Evans & Doherty performance, take a lively blend of traditional, original and contemporary songs, add a liberal sprinkling of stories and humor, then sit back and enjoy these fine entertainers. Being equally at home in a pub-setting, concert hall, festival or convention, Evans & Doherty are first-rate musicians, singers, and songwriters and will be performing March 9, 7:30 p.m. Tickets for the show are available at the Civic Centre box office 625-2591, or online at www.phcivic.com. Presented by, 1015The Hawk, the Reporter, Maritime Inns and the Port Hawkesbury Civic Centre.